MexOut~ I was invited to a sneak preview of the MexOut new branch at Marina Bay Financial Tower before they officially open on 23rd Sep. A new kid on the block at Marina Bay Financial Tower. Think it is a great new option for the time-poor warrior in this hectic area. Love the colors that they have matched up. Making the place so cheery. A great contrast to the stressful boring office. Feel that it will be a great place to dine and rejuvenate after a hectic morning or a long day. 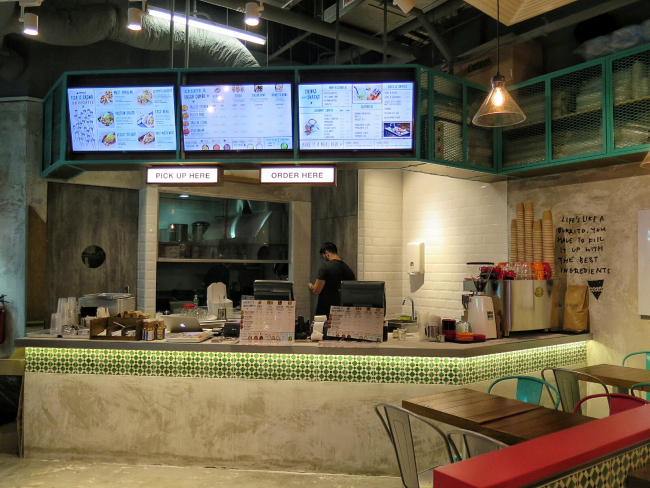 They feature a self service counter like fast food outlet where you get to order and and pick it up yourself. I guess that should make the food delivery much faster as you don't need to wait for the service staff to serve them to you. 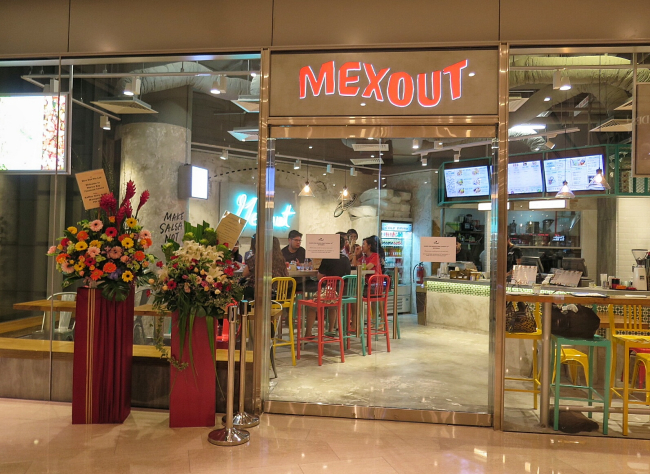 Mexout do also make delivery in the area. For those who are bound to their office, do check this out to ensure you are still filled up nutritious food instead of instant noodles or plain bread. 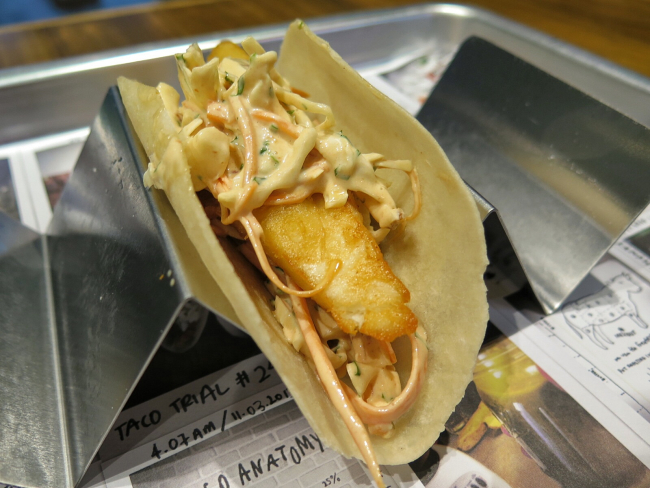 Fried Fish Taco (1 for S$6) - Golden-battered snapper fillet fried until crisp and served in a taco taco with homemade chipotle slaw. My first bite into it. I immediately fell in love with it. The hot fried fish with crispy skin feel so fresh and delicious. It would make a wonderful comfort food. 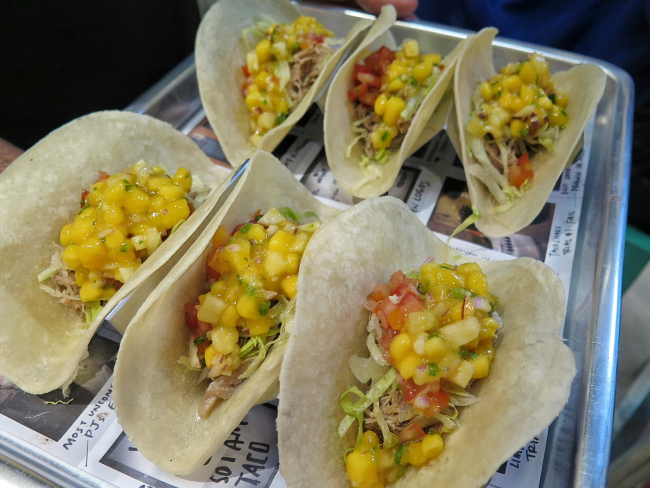 Tacos with sweet mango pineapple salsa and pulled pork (2 for S$8.90, 3 for S$11.90). The sweet refreshing mango salsa complements the falvours from the pulled pork (shoulder braised in orange juice, spices and banana leaf). 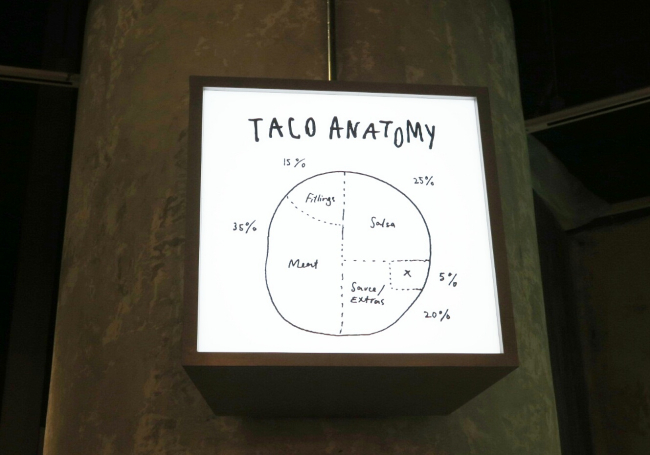 A healthy-feeling taco. 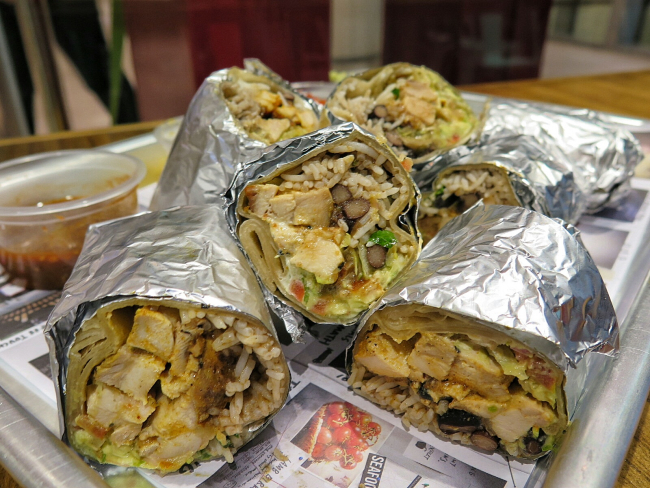 Burrito - Mexican Rice, Black Beans and Pico de Gallo Salsa wrapped with Soft Flour Tortilla. 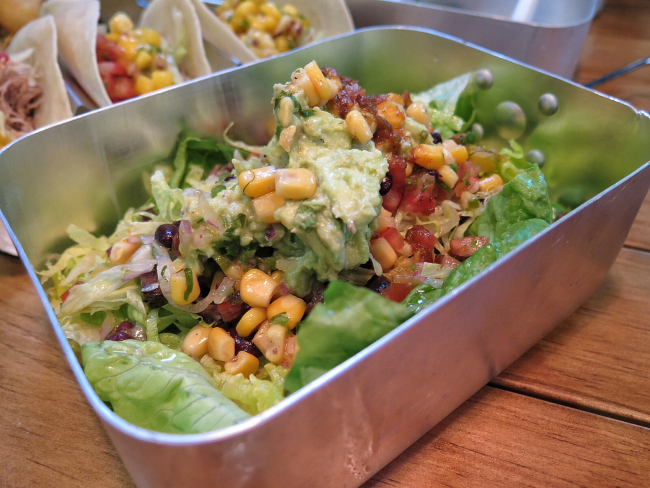 I didn't get to try the burrito but it definitely look like one that you would like to get for a healthy quick lunch or dinner. Stuffed Jalapeño (4 for S$7) - Mexican jalapeño peppers stuffed with pulled pork; lightly breaded and fried ; Served with chipotle aioli. One look at it. I was definitely put off. It is definitely look spicy. It is literally eating the jalapeño peppers known to be super duper spicy. Finally, I plucked up my courage to try. It was spicy but not as spicy as I thought. It remind me of our chinese Yong Tau Foo as they have stuffed it with pulled pork. This is a must try. Very unique indeed. 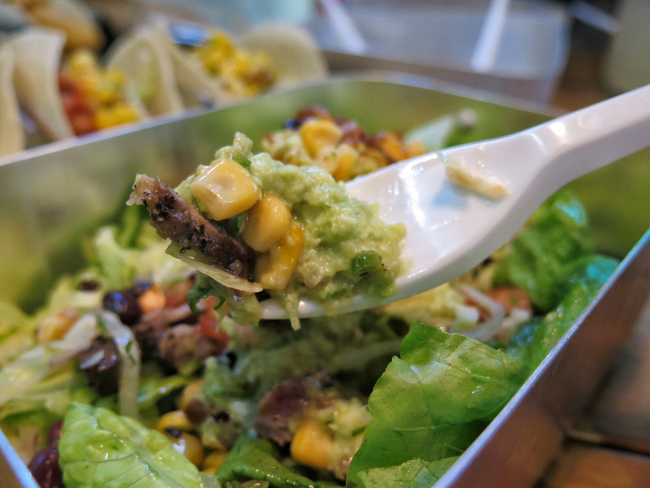 Salad Bowl with Grilled Steak S$13.90 - Fresh Crisp Lettuce, Shredded Cabbage, Pico de gallo, Corn & Bean Salsa and Cilantro Dressing toget with char-grilled flank marinated in cilantro, onions and paprika. I always love salad with meat topping as meat complements salad. Making it a well-balanced meal. Great for meat lovers that want to have their share of greens. They present it in a mess tin making the presentation very unique and the handle makes it easy to hold. 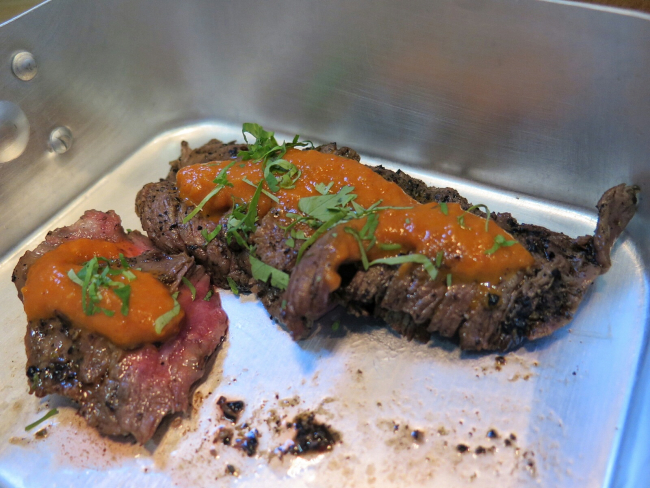 Sliced Steak & Chilli Jam S$9 - Tender New Zealand Flank steak char-grilled served with spiced chilli jam. This is ideal for sharing and great for late night bites especially you want to avoid carbohydrates. 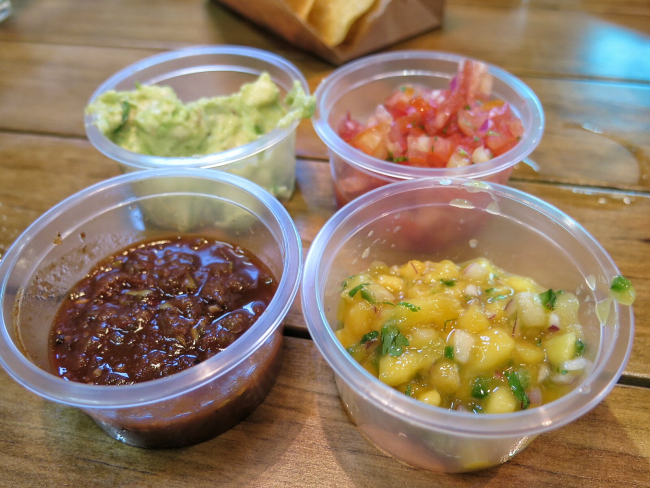 A display of their sauces - Salsa Picante (Hot), Fire Roasted (Medium), Mango Pineapple Salsa (Sweet), Guacamole (Smooth with bits of chunks). Aren't they a pretty sight? Margarita - The drinks were a bit strong for me. Like the mugs they serve it in. 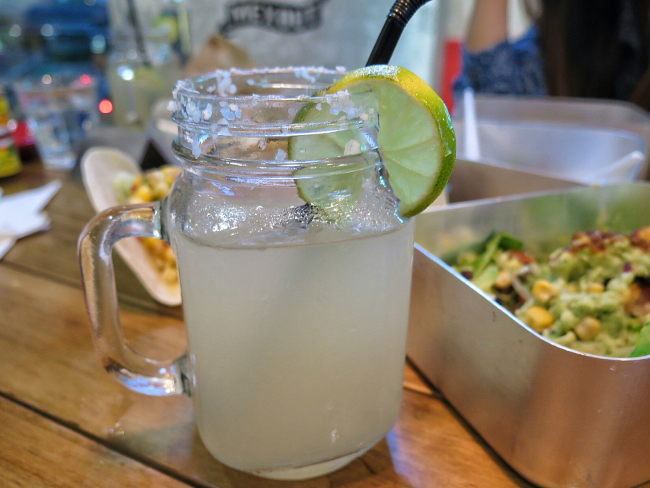 It is like a generous amount of margarita there. 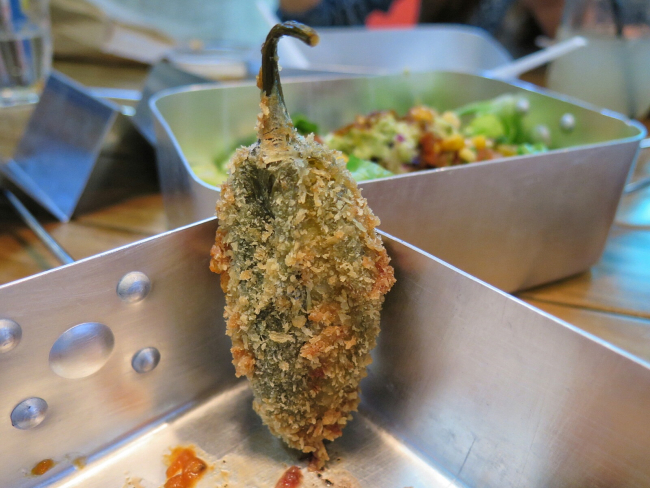 I love the Fried Fish Taco and intriguing Stuffed Jalapeño. The ingredients were very fresh. 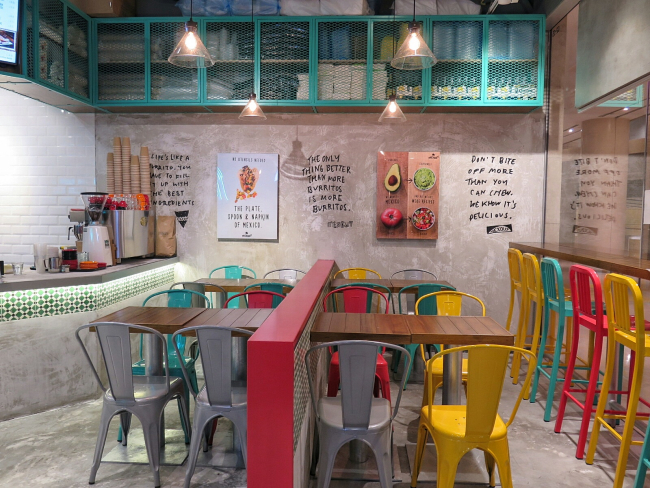 The ambience features a very cheery outlook with lots of bright happy colours. It is a great lunch or dinner option for the corporate professionals working in the area. Especially for those bound in the office, they do offer delivery in the area.